So today, some one called me a really foodie today and it brought a smile to my face. I was only looking through the Times food pages looking for inspiration, apparently the nudging and exclaiming was unusual. I just like reading about food, I can’t help it, everything I read I want to try, so yeah I guess I might be. Anyway I’m going to give you the recipe to one of my favourite foods, and something I think everyone should be able to cook. And it’s full of pictures to inspire you. Heat the butter and a little oil so it doesn’t burn in a large flat bottomed pan, you use a little oil so that the butter doesn’t burn. Add the sliced onions and garlic to the pan and fry over a medium heat till softened. Then add the rice, and more butter or oil if needed, stir the rice over a low heat until it becomes translucent, with the edges semi see through. When the rice reaches this point add half of the stock and turn the heat down so the whole mixture is simmering. 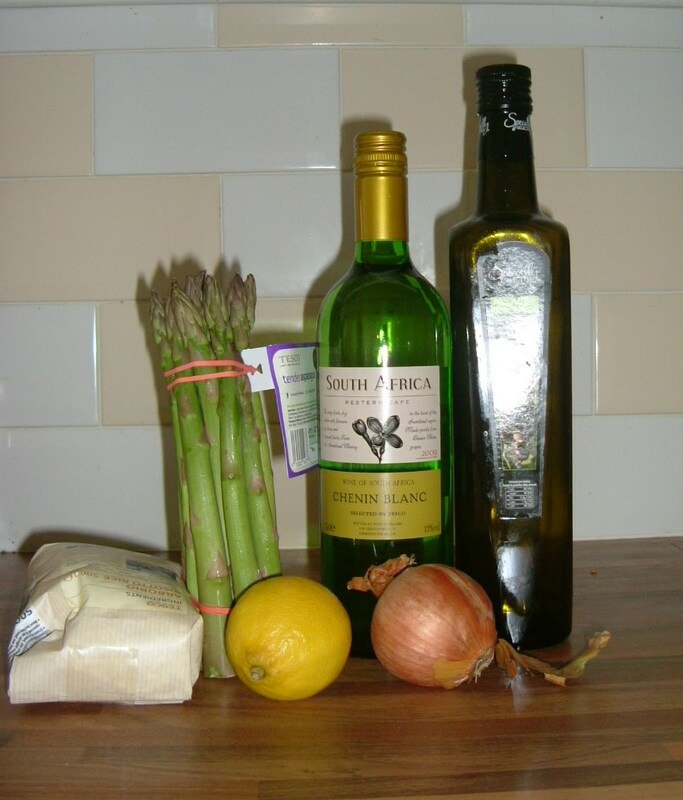 To the lightly simmering mixture add the asparagus, roughlychopped, along with the juice and a little ring of the lemon. Then add a splash of white wine to deepen the flavour, and continue to stir so that nothing sticks to the pan. 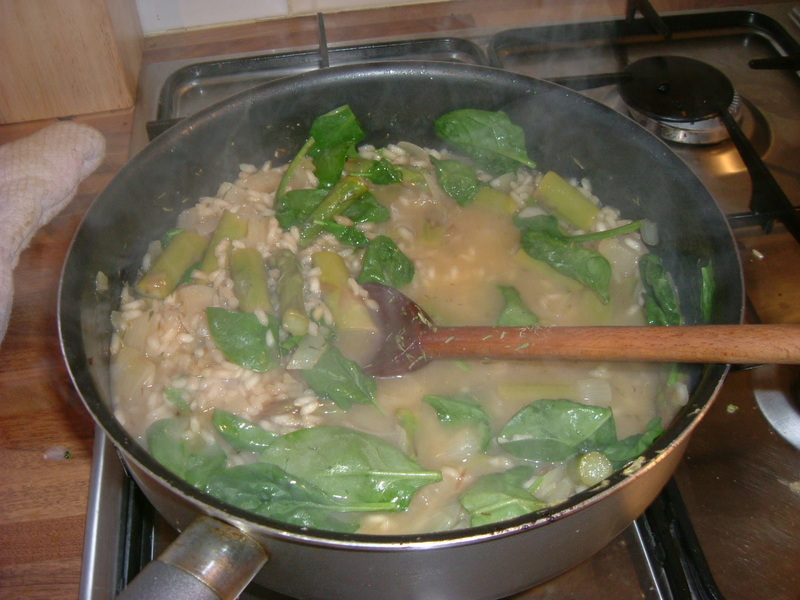 Continue to stir, adding more stock or wine until the rice, become fat, and soft, then add as much spinach as you like. Stir that in, and season with thyme, pepper and possibly salt depending on how salty your stock is. Now turn of the heat, add more spinach if desired and plate how you like. Small portions for a starter, larger portions for a main. I often don’t care about presentation, so long as food looks appetising and tastes good, I’m happy, I mean I’d never eat anything that looks off-putting unless it smells amazing, but I’m not bothered about fancy details. However because I’ve started hosting dinner parties and served this at an anniversary meal I have looked into plating. So if you do want to present this dish in an aesthetically pleasing manner, I suggest small rounded portions, with a garnish of lemon rind on top, and a little spinach to one side, finishing with a sweep of balsamic vinegar. (Only a small sweep otherwise it over powers the flavour.) 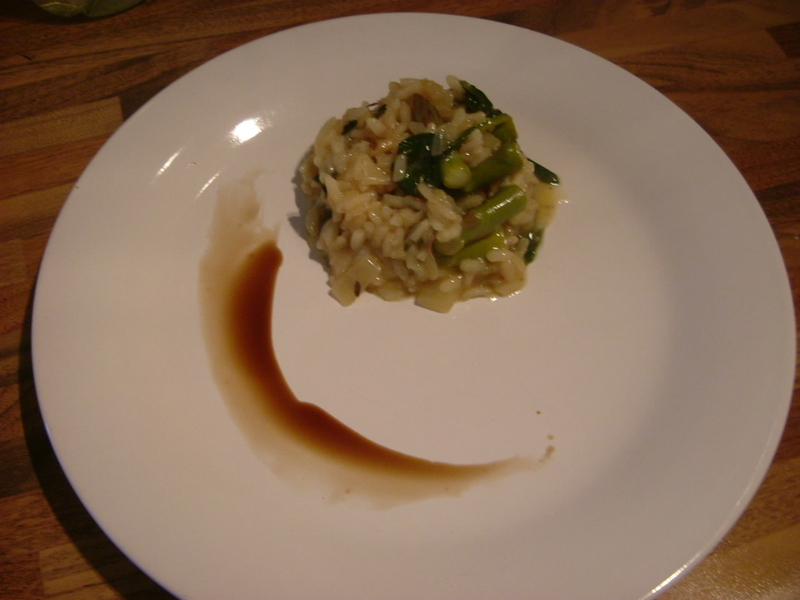 As an example, I have below, a picture of the risotto plated for a dinner party. 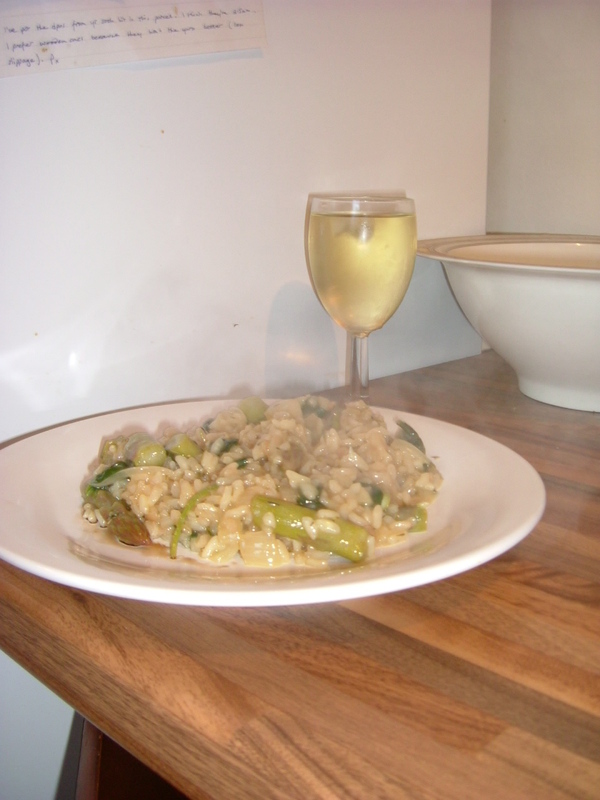 As with any risotto this dish can be easily adapted to water green veg you have available to you. I’ve used green beans, courgettes and leeks as well. I always like to put some green leaf in it and I really feel that spinach is the best bet for this. The air is getting Chilly so time for some soup! A hint at what’s to come.